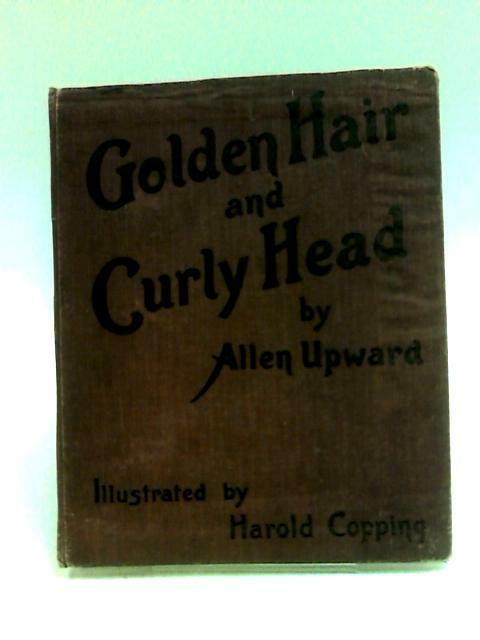 Golden Hair and Curly Head by Upward, Allen. 27 pages. No dust jacket. Brown cloth with black lettering. Illustrated by Harold Copping. Hinge cracked with noticeable soiling, foxing, tanning and handling marks. Award insert at front endpaper with attempted repair. Noticeable rubbing and scuffing along spine. Noticeable bumping, rubbing and scuffing to spine ends and to corners with noticeable rubbing, scuffing, water marking, warping and wear along edges and over surfaces.